Click link to see magazine feature. Car auctions. Exhaust fume-ridden haunts of the shady car dealer, right? Not necessarily. If you’ve ever bought a used performance or prestige car, it’s likely your hunting ground would have been classified ads on the likes of Pistonheads or Autotrader, and assuming you aren’t salesman-averse, the dealer forecourt. Buying a top end car from auction means leaving most of your sensible buyer intincts at home. So is it worth it? To an auction virgin, mixing with the likes of hardened traders brandishing CAP guides and Arthur Daleyisms, it can be off-putting. Buying under the hammer is a calculated risk when you are spending four figures, but when you are parting with serious wedge, you could be forgiven for thinking it’s foolhardy. Actually it isn’t as stupid an idea as it sounds, but you may still require unfeasibly large cojones to go through with it. There is one blindingly obvious reason for throwing your buyers’ comfort zone out of the window – price. In return for shouldering a load of risk you can often save yourself thousands. But if you do choose the auction route, be prepared to dip your hand into an automotive tombola. You may go along with a particular car in mind, but come away with something entirely different, the only limiting factor being your wallet, and your willpower. To test this theory, I went along to November’s ‘Top Car’ auction, at BCA’s Nottingham branch to nosey at some of the precious metal going under the hammer. 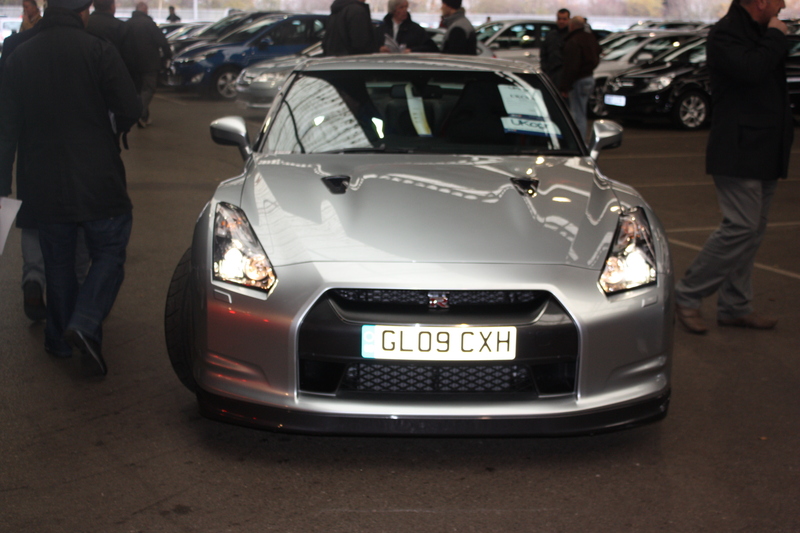 As Europe’s largest vehicle auction group, British Car Auctions handle a substantial amount of high-end machinery from a variety of sources, the majority of them finance and leasing companies. When I visited, the auction hall was crammed with a smörgâsbord of exotica. Ferraris, Porsches, Bentleys, Astons, Jags, and to be honest anything the trade might call ‘a bit tasty’. 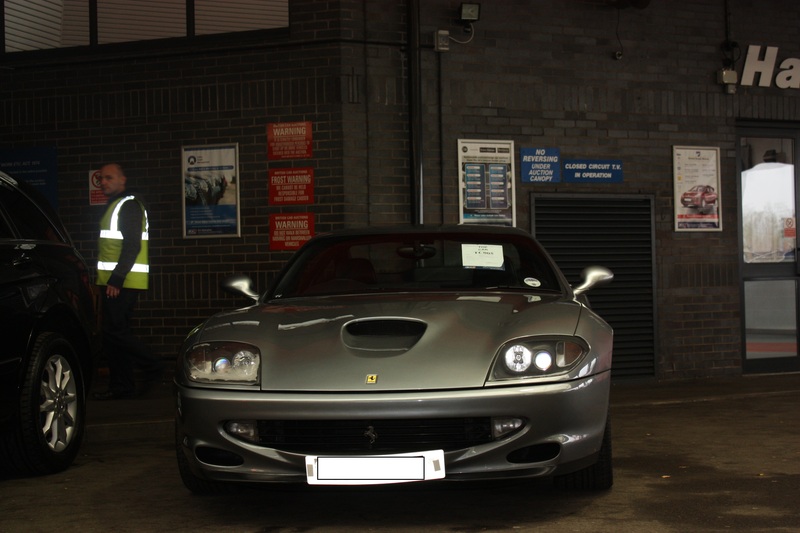 How about a ’98 Ferrari 550 Maranello in Grigio Titanio? In 1998 the flagship prancing horse would have been £144k in ‘basic’ spec. Some 12 years and 35k miles on, owner number one got bored and chopped it in at a Bentley dealer, so there it was, looking forgotten in a corner of the auction hall. It reached £32,800 – not much for a fully historied, one owner V12 Fezzer – and a useful saving over the retail ‘book’ value of £40,250. If you are of a more patriotic leaning, then an 8k mile 2007 ’07 Aston V8 Vantage Roadster, which looked fresh out of the box was staggering value at £51k, compared to a retail price of £61k. Just be thankful you didn’t part with £94k for the privilege of being the first name on the V5. There was more eclectic metal on offer too – a 55 plate Alpina B5 V8S made a paltry £18k, compared to £62k new. Meanwhile at the ‘budget’ end, an E39 BMW M5 on a ’99 V plate struggled to reach £4,500 against a retail book value of £9.5k. Word of warning though, not all auction buys are the conspicuous bargains you would expect. 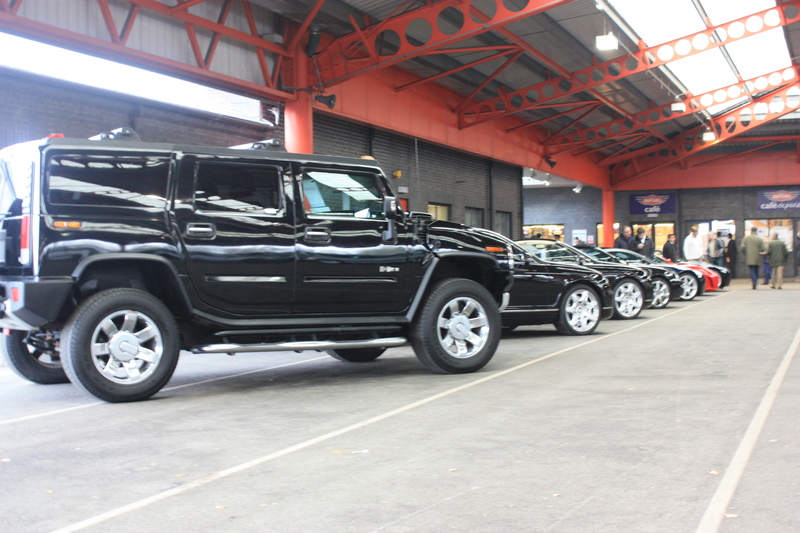 A grossly un-PC 2008 Hummer made £31k, against its book retail value of £30k. One of a brace of F430s on offer also made a silly £10k north of the retail value, which makes no sense at all. If this has whetted your appetite and you are thinking of going the auction route, you can make it less of a leap into the unknown by doing a bit of groundwork before you get there. BCA publish catalogues online, complete with vehicle descriptions that include more info than ever before. You can see pictures, check the MOT expiry (assuming it has one), whether it has service history and when it was last serviced, along with mileage (and whether they are ‘warranting’ it as correct). You can also download a condition report which grades the car on a scale of one to five according to what kind of state it is in, one being a minter, five bringing new meaning to the word used. 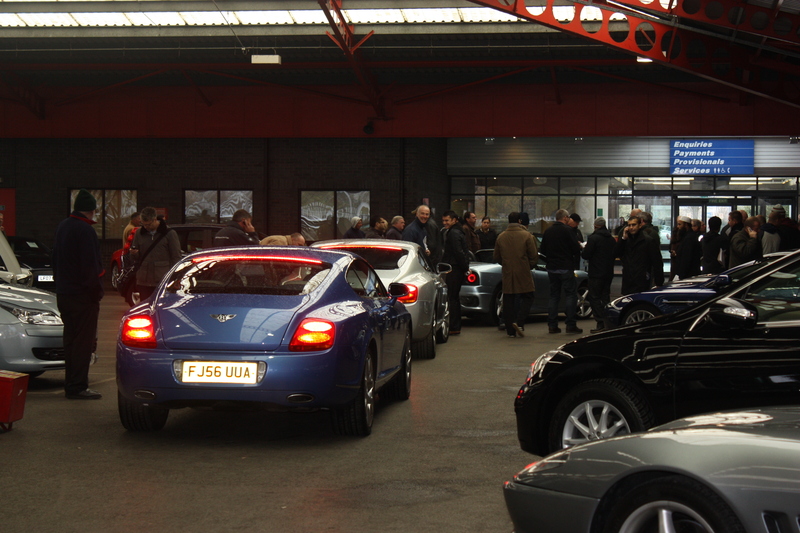 The condition of auction lots will always be declared, and the majority sold ‘without major mechanical faults’. In the event something has a dubious past, the catalogue description or the auctioneer will make it known, so HPI checks aren’t needed. And when you get there – be ready. Cars are pushed through the hall in a fast and furious manner. About 3 minutes before it gets driven in front of the rostrum your target will be unlocked, and started. This is your opportunity to open all the doors, check for squiffy paint, signs it’s been ‘bent’, and peer at the dashboard for tell-tale warning lights. Finally, don’t fall prey to the myth that you can buy a car if you sneeze – the auctioneer will look for eye contact as confirmation you are bidding. When the hammer falls and you realise you’ve saved yourself thousands, bought your dream car and avoided the middle man, it’s a buzz like no other.